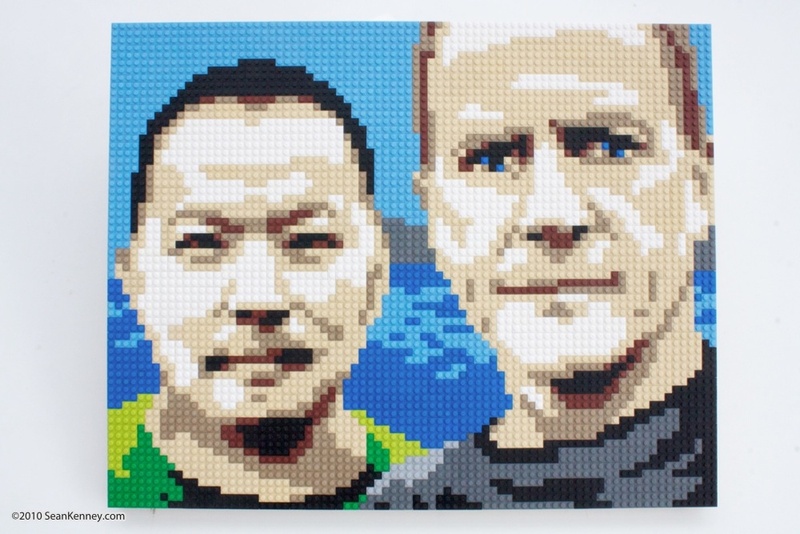 Just your everyday, run-of-the-mill, giant LEGO portrait of two dudes on the bay. 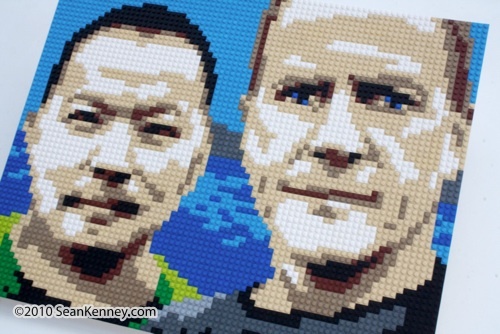 As always, my LEGO portraits are hand-drawn, not computer-generated. These guys presented a good challenge because they had pleasant yet subtly-stern expressions and I needed to make sure they didn't appear too tough-looking. It was a lot of drawing, re-drawing, erasing and drawing again... but in the end I think each of their smirks came out nicely.